Prototype: "Frankenzucker" type Kds 54 privately owned car used on the German Federal Railroad (DB). 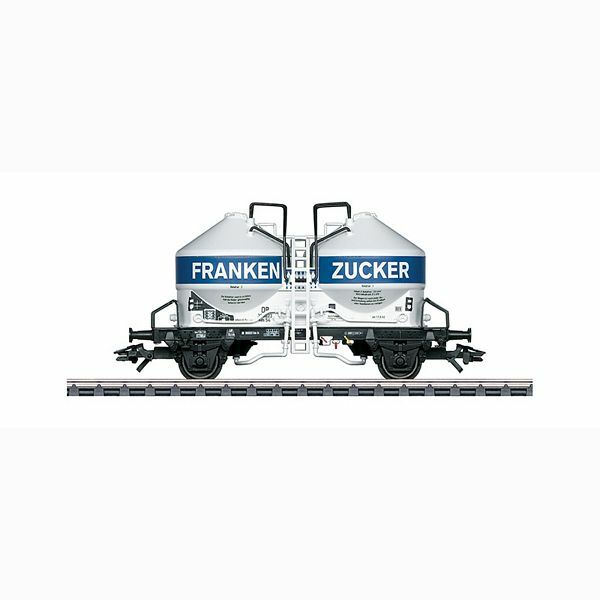 Car with 2 chambers for fine-grained freight, authorized for foodstuffs. Model: The car is authentically painted and lettered for Era III. It has a close coupler mechanism. The lines and steps are separately applied. Length over the buffers 10.0 cm / 3-1/8". DC wheelset E700580. Trix Express wheelset E33 3578 11.